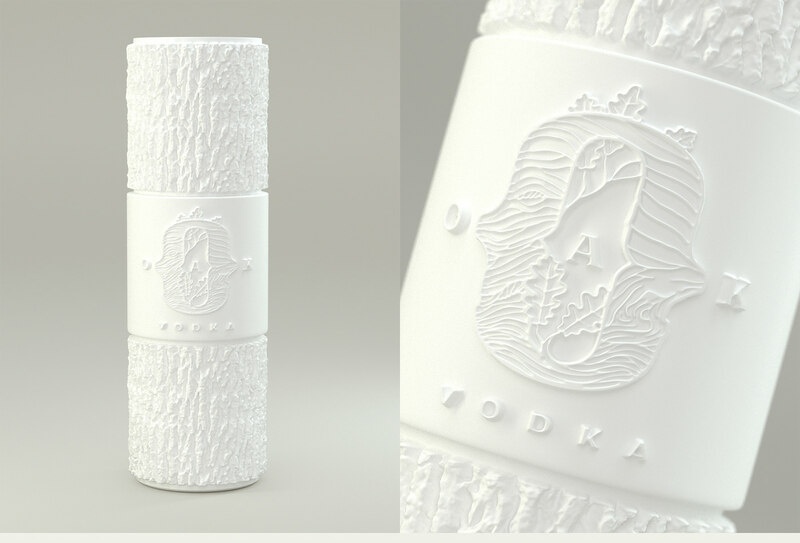 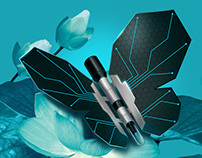 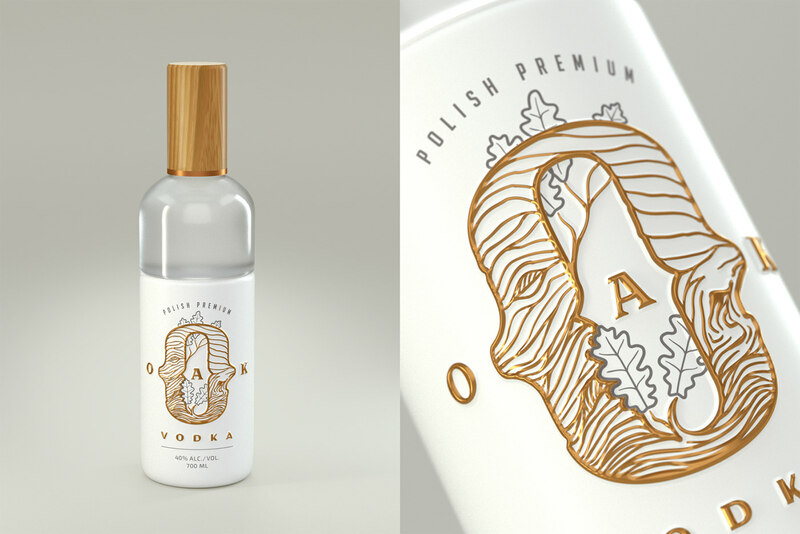 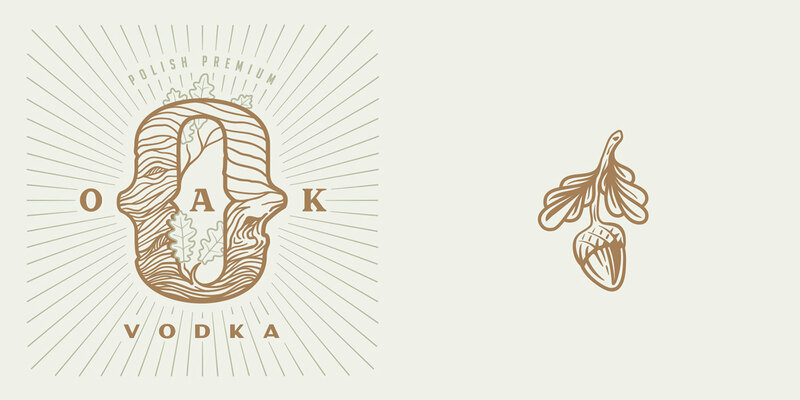 This concept design is an export variant of existing brand of polish vodka - Wódka Dębowa. 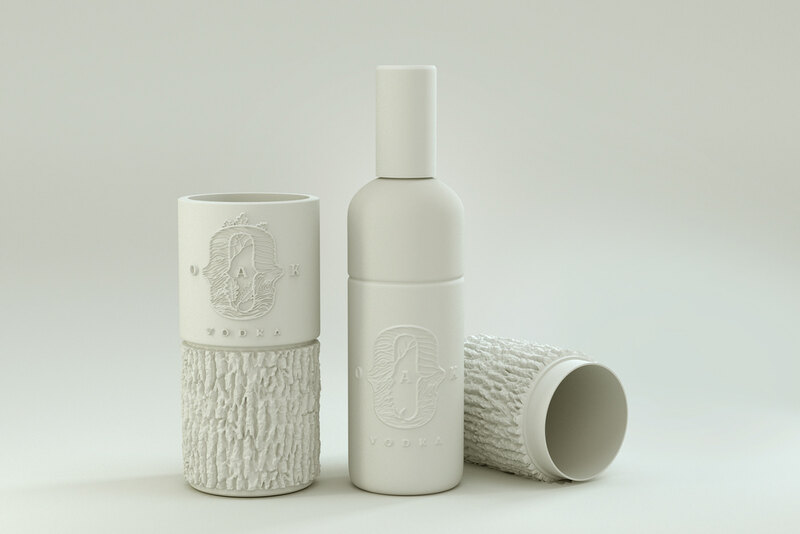 Both, the visual branding and the packaging, break away from the original product which is very rustical and might appear somewhat outdated. 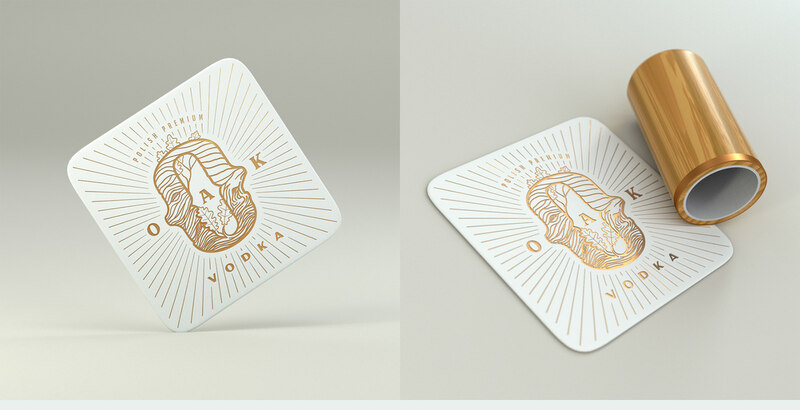 Still, it sells well on the local market. 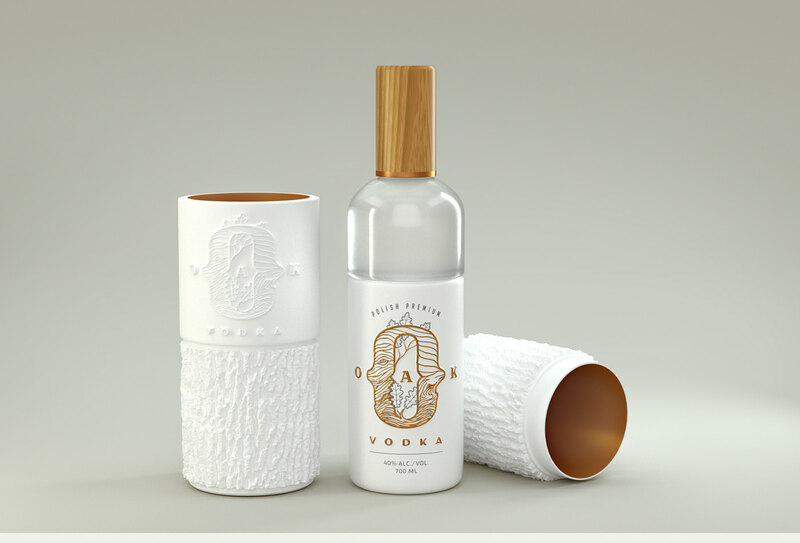 My goal was to create a packaging that would convey the same traditional values in a sleek, new form. 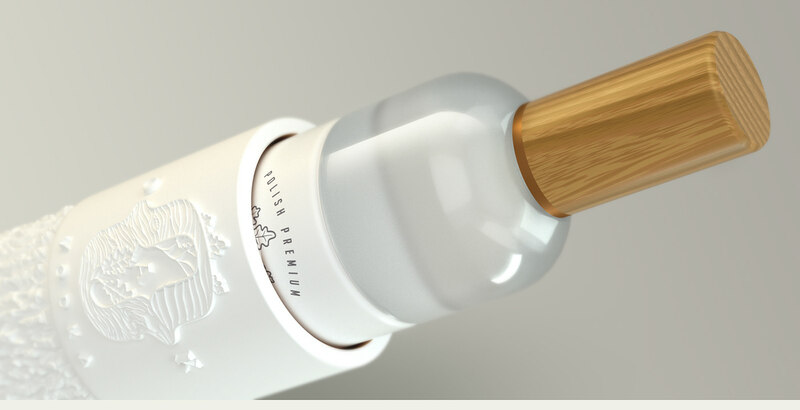 This would enable the product to compete with other successful polish brands of spirits, such as Wyborowa, Belvedere or Chopin, on international markets.